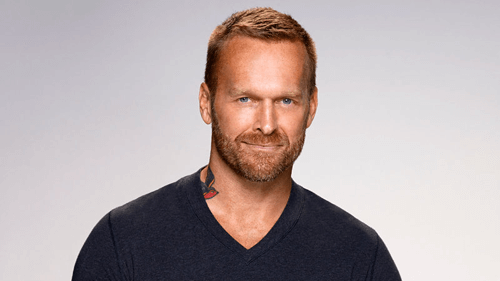 If you’re not familiar with Bob Harper, he’s a celebrity personal trainer who is featured on the popular reality TV weight-loss series “The Biggest Loser”. Unfortunately, most who lose weight on the show end up gaining it back. On the outside, he appeared to be the epitome of health. Yet, on the inside his health was deteriorating. In February 2017, he was working out at a New York City gym where he suffered a major heart attack and died before being revived and kept alive. At the age of 51, he was not even in the highest risk category for heart disease. So, how can someone who’s not high risk and appears to be in pristine health suddenly drop dead from a heart attack? 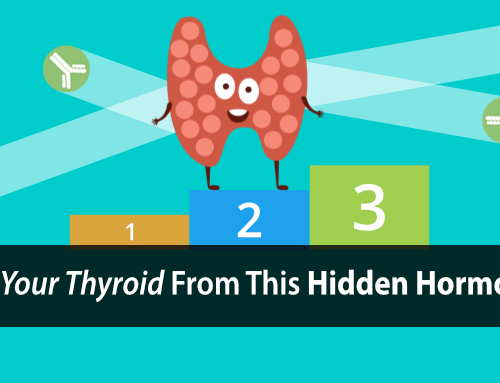 The answer has everything to do with exercise and your thyroid. Yet, that’s not what Bob Harper would have you believe. Now that Bob Harper is on the road to recovery, everyone wants to know how such a horrific thing could happen to someone who is supposed to be so healthy. Specifically, everyone wants to know if exercise is what almost killed him. His initial answer created a public relation nightmare and a Catch-22 (no win situation). You see, Bob Harper has a history of high cholesterol. High cholesterol is a well researched and proven symptom of hypothyroidism. Without adequate thyroid hormone (T3), you can’t convert cholesterol into pregnenolone and all of your heart-protective hormones. Instead of accepting that his heart attack could be related to the stress of exercise… he initially blamed his heart attack on “genetics”. He has a family history of heart disease, so it was eventually going to get him too, right? Unknowingly, he forced himself into a no-win situation. 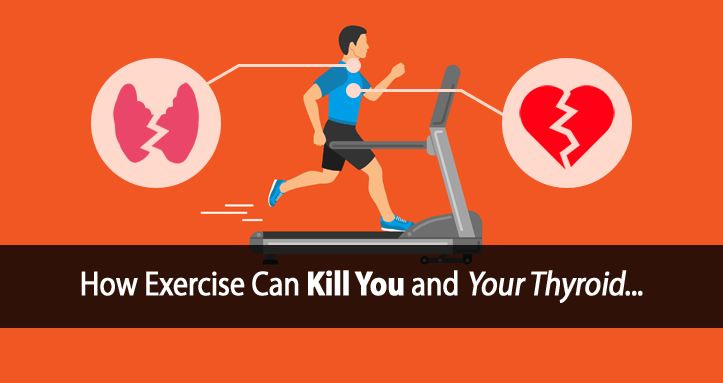 On one hand, if you admit that exercise is a stress that can inhibit your thyroid and cause a heart attack, you’re telling millions of people that… exercise can kill you. On the other hand, if you use the “genetics” excuse, then you’re telling millions of people it doesn’t matter how much you exercise or how healthy you eat… your genetics is going to kill you anyway. Either way you look at it… you’re dead. This created a huge public relations nightmare for Bob Harper. What do you do when you need a bunch of smoke and mirrors to get yourself out of trouble? You go on the Dr. Oz show, of course. It’s the easiest way to get yourself out of trouble. Blame the problem on something else that most people have never heard of. So, last month Bob Harper appeared on the Dr. Oz show to reveal the new culprit behind his heart attack… lipoprotein(a). …lipoprotein(a) levels are directly influenced by your thyroid function. Effect of thyroid hormone replacement on lipoprotein(a), lipids, and apolipoproteins in subjects with hypothyroidism. Lipoprotein(a) increase associated with thyroid autoimmunity. Bob Harper’s real problem isn’t his cholesterol, genetics, or lipoprotein(a)… it’s his poor thyroid health. And it has a lot to do with exercise. The truth is that too much exercise can kill you. Yet, we live in a world where more is always better. So, people continue to kill themselves in the gym, wrongly believing they are healthier for it. What’s important to understand is that exercise is a stress to your body. And too much exercise can significantly impair your thyroid function. As Dr. Raymond Peat explains… Exercise increases the rate at which your body breaks down thyroid hormone. So, your body compensates/adapts by slowing metabolism and assuming a hypothyroid state. Lowers thyroid hormone (T3) levels. 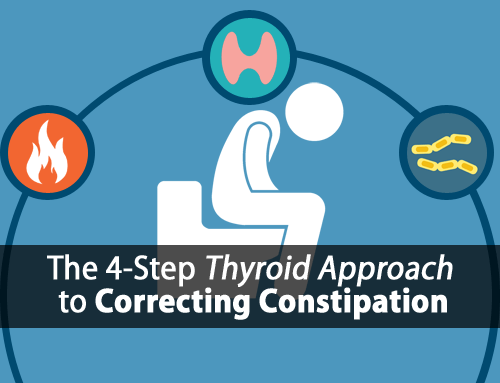 The more you over-exert yourself, the more you suppress your thyroid. The more often you do it, the more hypothyroid you become. The more hypothyroid you become, the more prone you are to dying from heart disease. 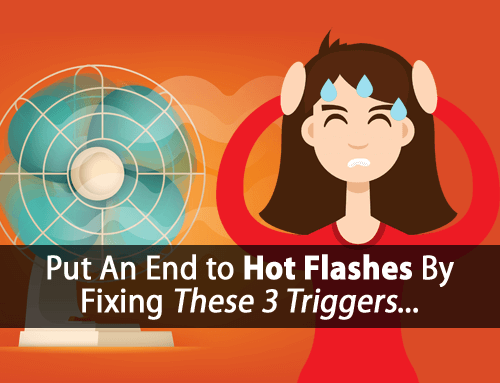 It largely depends on your current thyroid health. 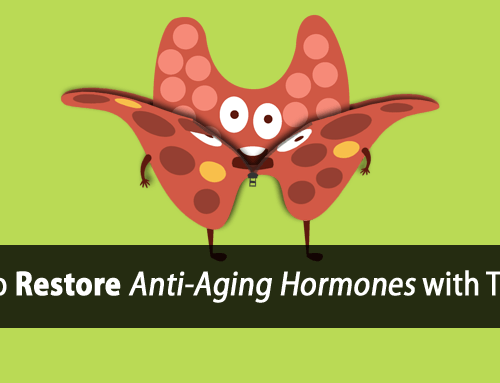 For example, hypothyroid sufferers can’t store glycogen well in their livers and muscles. They’re prone to low blood sugar and high levels of thyroid-suppressive stress hormones. So, it doesn’t take much exercise to push you over the edge. But, there is something you can do about it. There are ways to protect yourself from the stress of exercise and actually use it to benefit your thyroid health. Click here to learn more about how to exercise safely with hypothyroidism. What about the other end of the spectrum which is a completely sedentary lifestyle? Some days I sit at the computer for 8-10 hours, then I sit and watch TV until bed.. the way I understand it, being sedentary is very bad for health in that we need movement and sitting for long periods can be detrimental to health.. so there must be a happy medium right? such as getting up from the chair and walking around, stretching, using a lymph node roller thingy, etc? I still haven’t checked out your exercise program but I plan to soon. I guess what I’m getting at is I’m trying to figure out what the happy medium is between sedentary and too much exercise and I know that can be tough because each of our situations is unique..
Hi Terry, the article itself isn’t promoting a sedentary lifestyle. It’s explaining the effects of over-excising on thyroid function. Extreme workouts have become a very popular trend for weight loss, however, in most cases they are causing more harm than good. Hypothyroid sufferers are very prone to the dangers of exercise. It’s about exercising safely. Tom – I’ve gone more old school thinking in my approach to exercise — and your exercise thought leadership contributed to that way of thinking. I keep myself moving on and off throughout the day — including walking as part of my morning and evening commute. When walking, I let my body choose the pace and that means turtle slow some days and fast (for me) other days. As someone following your program, I’m also gaining progressively more energy to do things during the day which contributes to keeping moving. That’s great to hear Kathy. Walking is great exercise and listening to your body is very important. Hi Tom, I was not implying the article promotes a sedentary lifestyle, but rather just wanted to point out how people should be aware that the other end of the spectrum, which is lack of movement, can be bad for us too.. I’m not disagreeing but rather just pointing something out that folks might not be aware of. I point it out because lately for me personally I have not been getting any exercise at all and hardly move from my desk/couch and that is not helping my situation.. There needs to be a happy medium of safe exercise.. I like the article, and I like that at the end you point to another article regarding the benefits of safe exercise. Um, Bob Harper did not die. I was one of those over-the-top exercisers. It resulted in a couple of things: worn out knees, low back pain, hip pain, broken bones and hypothyroid. I admit, I still love playing tennis, but now stick to doubles. My main exercise is “gentle yoga” which exercises my mindfulness at concentrating on releasing tension from my body! And I’ve found a study that showed that in terms of weight loss, any weight loss from exercise is going to come back eventually, but gentle yoga allows the body to lose weight naturally and permanently. Tom. You are a genius. High cholesterol results from a lack of T3 and/or Vitamin A. Studies show that using thyroid hormone (T3) normalizes cholesterol because it, along with vitamin A, converts cholesterol into pregnenolone and all of the steroidal hormones. I am hypothyroid and used to do marathons and 100 kilometre races. My health was affected negatively in this way and realise now I can run comfortably 3 times a week for an hour. More than this affects my overall health over time and is counter productive. On the other hand I can do other forms of exercise which require less exertion. However I love to run for stress relief and meditations reasons and it has taken a few years to find the balance..